H. 14115 - this gordon drive estate is the pinnacle of beachfront luxury living comprising over 1. 5 acres and more than 150 ft. Of direct beach frontage. Magnificent panoramic gulf views from nearly every vantage point! This sprawling estate offers just under 5,400 sq. Ft. Of living space featuring gorgeous custom stone, marble and wood flooring, detailed artisan guild custom millwork, exquisite chandeliers, multiple intricately carved marble and stone fireplaces, a gourmet kitchen and upgrades throughout. Luxury and lifestyle redefined! Spectacular, park-like grounds with meticulous landscaping, lush, tropical foliage and fish ponds create a haven for indoor and outdoor entertaining! Many distinct areas for gatherings, all with gulf front beach access and mesmerizing views. Truly a remarkable slice of naples finest neighborhood. 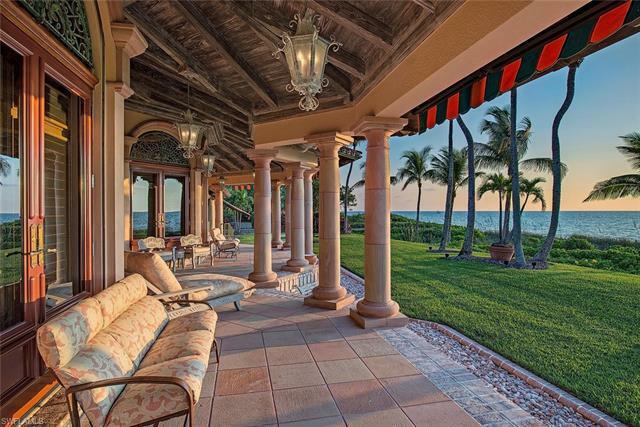 L. 2014 - this is a unique opportunity to own a quintessential port royal lot with big beautiful vistas across naples bay. This lot, located on the south tip of galleon drive, is a special location and includes a charming, 5 bedroom home + den that is warm and inviting throughout its almost 5,500 sq. Ft. Of living space. Guest quarters with its own, separate entrance has 1 bedroom/bath, living room and kitchen, ideal for mother-in-law or live-in nanny. The covered outside lanai, custom pool and beautiful landscaping provide great entertaining areas. Boat dock provides the perfect naples escape. Qualifies for immediate port royal membership. 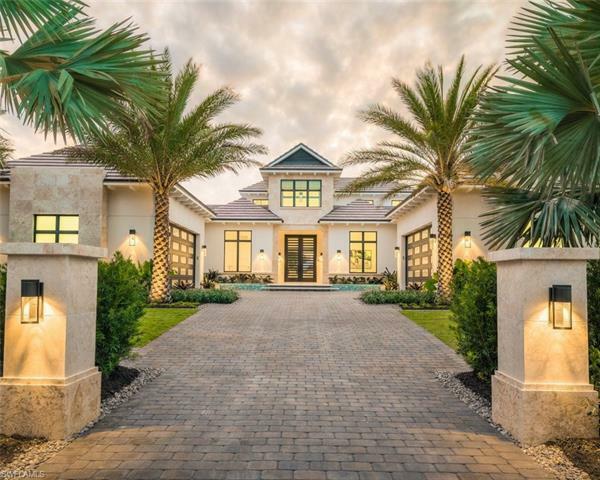 Beautiful new custom home with nearly 112 of water frontage and western exposure this home is located in exclusive port royal with easy access to the gulf. Designed by kukk architecture and design, a. Vernon allen builders, lisa kahn designs and limitless development. This resort-worthy two-story home will feature well-crafted interior finishes, five full-bedrooms (including a second floor vip suite), five full-baths all en-suite, a den, dining room, chef-grade kitchen, club room, elevator, stunning pool complex with spa, outdoor kitchen and bar, fire pit and lounge, and a fully accessible five-car garage. Plans, finishes and renderings upon request. Port royal club eligibility. Note: all information provided in this listing is subject to change during planning/building process. Offered at pre-construction pricing for a limited time. 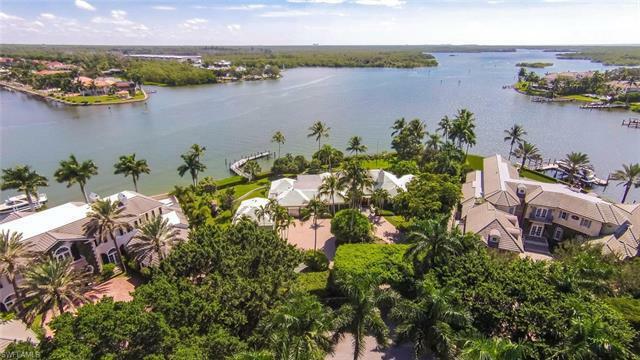 Spectacular waterfront estate on port royal's most beautiful tree-lined street. Offering old world european craftsmanship and modern amenities. 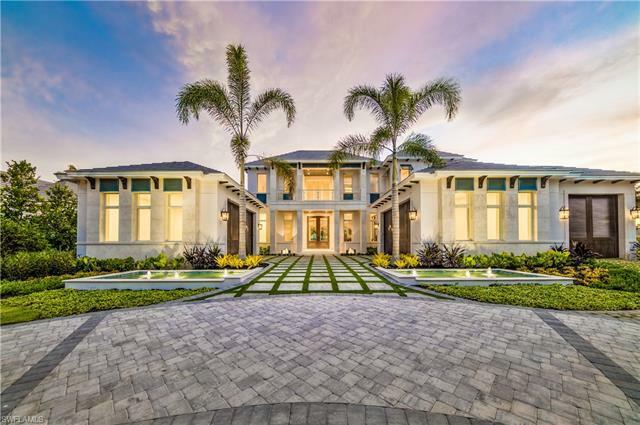 Masterfully constructed by kurtz builders in 2006, this home features expansive views of naples bay and is positioned to enjoy port royals most picturesque waterway. A grand double height entrance opens to elegantly proportioned rooms. Over 10,000 square feet of air-conditioned space showcases coffered volume ceilings, magnificent wood and marble floors and intricate hand-crafted millwork by amish artisans. Formal living room, dining room, great room, club room and full bar create gracious entertaining spaces. Well-appointed kitchen features custom cabinetry, top-of-the-line chefs appliances, and hand-selected natural stone. 6 bedrooms, 6 full baths, 4 half baths, and separate guest quarters provide luxury and privacy for family and visitors. Integrated sound and lighting system, 12-seat home theater, and private elevator. A waterside heated pool and spa, private dock with dual boat lifts, and a 3-bay garage complete this truly unique property. Eligible for membership to the exclusive port royal club. Offered furnished. Beautiful new custom home with 116 of water frontage and western exposure this home is located in exclusive port royal with easy access to the gulf. Designed by kukk architecture and design, a. Vernon allen builders, lisa kahn designs and limitless development. This single story floor plan residence will be highlighted by superb interior finishes, soaring ceilings, resort-like amenities, and a chef-grade kitchen. In addition, the home will feature five full-bedrooms, five full-baths all en-suite, a club room, a stunning pool with spa, outdoor kitchen and bar, outdoor fire pit and lounge offers unlimited entertainment opportunities, and a fully accessible four-car garage. Plans, finishes and renderings upon request. Port royal club eligibility. Note: all information provided in this listing is subject to change during planning/building process. Offered at pre- construction pricing for a limited time.